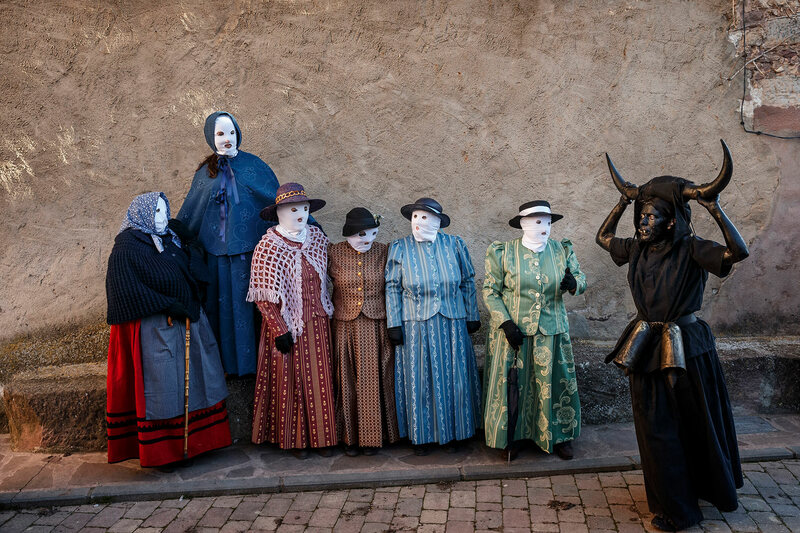 A reveler, dressed as "Diablos de Luzon" or Luzon Devil's, covered in oil and soot carrying bull horns on his head and cowbells on a belt representing the devil, and others dressed as "Mascaritas" take part in the carnival celebration in the small village of Luzon, Spain, Saturday, Feb. 25, 2017. Preserved records from the 14th century document Luzon's carnival, but the real origin of the tradition could be much older. Carnival festivals are celebrated in their own way around hundreds of villages in Spain.